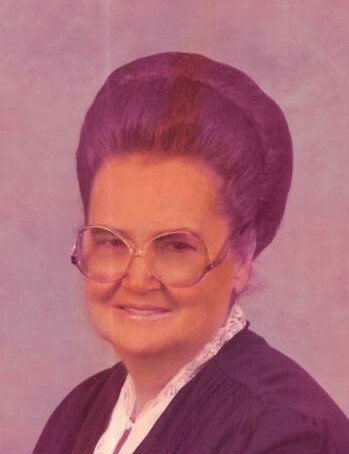 Ruby K. Burch, age 92, of Douglas, Georgia passed away on Wednesday March 20, 2019 at her residence following an extended illness. Mrs. Burch was born on April 20, 1926 in Nicholls, Georgia the daughter of the late Ben Kirkland and Courtney Johnson Kirkland. Mrs. Burch was retired from Campbell Soup Company and from Coffee County High School Lunchroom. She was a member of Harvest Time Church of God for forty-six years. She was preceded in death by her husband, Willis Burch, five brothers and one sister. Survivors include a daughter, Janell Kirkland of Douglas, GA; two sons, Willis Joe Burch of Broxton, GA and Carlton Burch of Ambrose, GA; brother, Noah Kirkland of Hilliard, FL; two sisters, Eva Pullen of Jacksonville, FL and Penny Jones of Thomasville, GA; thirteen grandchildren, several great grandchildren and several great great grandchildren; a host of nieces and nephews. Funeral services will be held on Saturday March 23, 2019 at 2:00pm at Harvest Time Church of God with Rev. Bobby Pope, Rev. Glen Fussell and Rev. Marshall Adcock officiating. Interment will follow at Chatterton Church Cemetery. The family will receive friends Saturday at the church from 12 noon until 2:00pm prior to the service. Pallbearers will be Jerome Burch, Dennis Burch, Andrew Burch, Benji Spivey, Devon Callejas and Chris Barnes. Musical selections will be “Just Because” and “More To Go To Heaven For” sung by Sue Smith with pianist Randy Smith. Sims Funeral Home is in charge of arrangements.